It’s that time. The time that every FPS gamer has been waiting for since 2015. Activision and Treyarch have come together to release the long-awaited Call of Duty: Black Ops 4. Now, this is the sequel for Call of Duty: Black Ops III and will continue as a part of the Black Ops subseries of Call of Duty. Call of Duty: Black Ops 4 will be releasing on October 12th, on the PC, Xbox One, and PS4. But, just so you have options, there are many different ways the game can come. Now, obviously this will just contain the base game. It is important to note that if you preorder Black Ops 4, you’ll receive 1,100 Call of Duty points and the MX-9 Signature weapon. You’ll also get access to the Back in Black maps in Call of Duty: Black Ops III. So this one is a little different. THERE IS NO CAMPAIGN MODE FOR BLACK OPS 4. Treyarch had never planned for a campaign mode to be in Black Ops 4 because they wanted it to be different than previous Black Ops games. Their main focus is that they want it to be more playable and enjoyable with your friends…if you have them. Due to the large number of people that only played the multiplayer in Black Ops III and completely ignored the campaign, they chose to go this route. But this isn’t gonna be a permanent change. Activision has already announced that the campaign mode might just possibly return for the next Call of Duty release coming in 2019. It is interesting to note that there are several ways to play Black Ops 4 due to their being no campaign and the game being completely multiplayer. The game modes available are Blackout (the new BR mode), Multiplayer, and Zombies. This game mode is the long-awaited BR mode for Call of Duty. 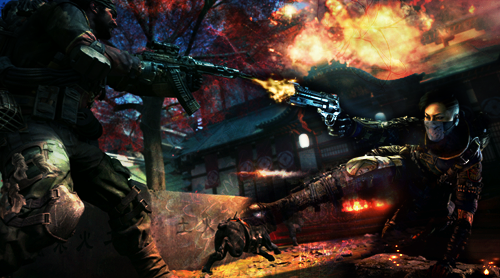 Since battle royale is considered one of the most played game modes currently across all platforms, it was only a waiting game as to when Call of Duty would step into the arena. Blackout is actually what is replacing the campaign mode within the game. But hey you’ll be able to play as previous Black Ops characters like Alex Mason, Raul Menendez, and the Primis crew. Now, the Blackout game mode will still have the regular Black Ops combat style but will include the largest map ever included in any Call of Duty title. Players will get the chance to see previous Black Ops games when they compete against other players in different locations across the map. But that’s assuming some people haven’t played any of the previous Black Ops games. You’re also get access to land, sea, and air vehicles for you to use or try to casually crash into other players and possibly kill yourself and your teammates. Blackout will be a 100 player battle royale where players are able to choose either Solo, Duos, or Quads (for those of you that might have more than one friend), get tossed out of a helicopter onto various locations on the map, and fight to claim the number one spot. But don’t worry, you’ll be able to find weapons, health kits, armor, all different types of ammo, and consumables throughout your trek. There will be various special modes (Close Quarters and Fast Collapse) available as well to add variety to the gameplay. And you won’t be completely alone due to the AI controlled zombies that totally want to eat you that spawn in the themed locations like Asylum of Lighthouse. They do drop fancy Zombies loot like the Ray Gun or the Cymbal Monkey when you kill them. Just don’t lose your head. It’s time for the Specialists to return to the battle in Black Ops 4. But this time, there are 10 Specialists available. Ruin, Prophet, Battery, Seraph, Nomad, and Firebreak are returning from Black Ops III in order to meet the new members Recon, Crash, Torque, and Ajax. Five of the previous maps (Jungle, Slums, Summit, Firing Range, and Nuketown) have also been remade to give a new look in Black Ops 4. All but Nuketown will be available at launch but Nuketown should follow shortly after. Now, there are updates for Black Ops 4 Multiplayer compared to its predecessors in order to make the game mode more teamwork reliant. – Automatic health regen isn’t a thing anymore. Players now get a health bar and are able to be assisted by their teammates. – Weapons have also gotten a bit of an upgrade. They now have a more predictive recoil pattern and a mixed ballistics system which includes both hitscan and projectile damage. – Weapon customization. Hooray to those of you that love your skins in CS:GO and TF2. You’ll be able to have more personalization to your weapons and the attachments now have tiers. – Operator Mods will be available to certain weapons in order to change how the weapon works overall. Just note that these take up a pretty large portion of the 10 customization slots available per class. It’s the return of the zombies that totally want to eat your brains. Treyarch made a few changes for the Zombies game mode in Black Ops 4 though. Custom Mutations – players will be able to personalize the mechanics of the game with over 100 variable available for change. Aspects such as overall difficulty, zombie speed, health, damage, etc. will be able to be modified. “Callings” – time-limited events will be in Black Ops 4 to provide a way for long-term engagement. Custom Loadouts – similar to the Call of Duty: WWII Nazi Zombies mode, players will be able to select starting weapons, what equipment and upgradable weapons they’ll have, and what perk selection will be in the match. 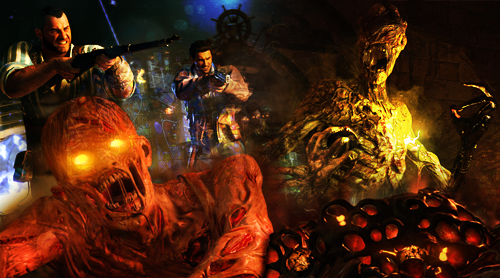 With Black Ops 4 Zombies game mode, there are two very different storylines available for players. There is the Chaos storyline which contains the Voyage of Despair and IX maps as well as new characters such as Scarlett, Stanton, Diego, and Bruno. Then there is the Aether storyline, returning from the previous Black Ops games, which has the Blood of the Dead map and the original characters of Dempsey, Nikolai, Takeo, and Richtofen. Blood of the Dead – a map that is a small remake of the Black Ops II map “Mob of the Dead” and takes place in the Alcatraz Federal Penitentiary. 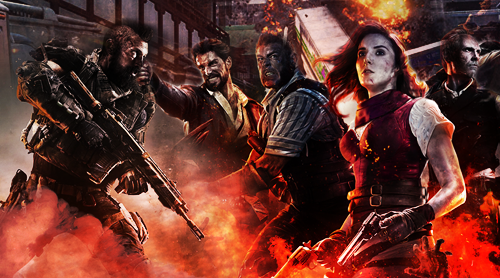 Classified – a map that is a remake of the Black Ops map Five and features the Primis team as the playable characters. But the Classified map is only available in the special editions of the game and the Black Ops Pass at launch while the other three are available at launch. NOTE: for all players that 32 bit operating systems will not be supported. Originally in Prestige Gaming as a part of the Event Coordinator Team, Timothy joined EGO in May 2018 in result of the community merger. As of right now, he currently resides as the video production manager of the Media Team since November 2018.